We wouldn't use it for gaming, but it's a great mouse for commonplace tasks. If you’ve ever had your hands cramp after hours of using a mouse at your desk, it’s likely more the mouse’s fault than your own. 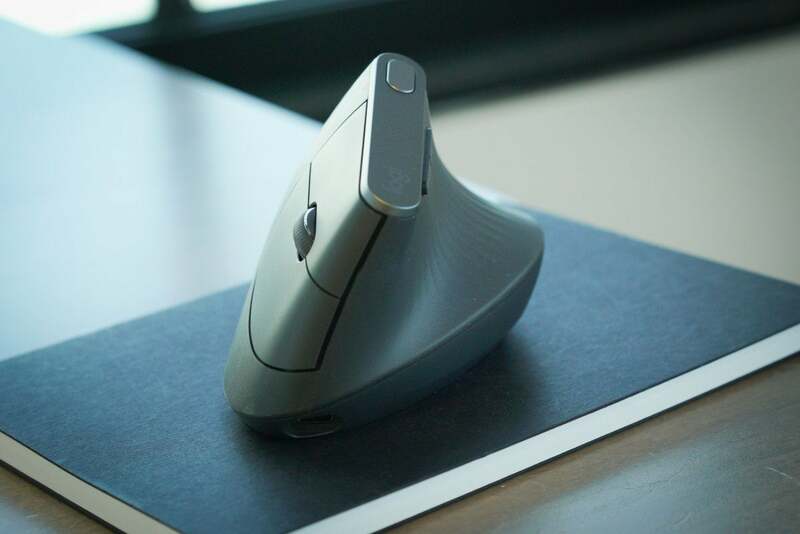 That’s the basic idea behind Logitech’s new MX Vertical ergonomic mouse, which attempts to eradicate such pains with a design that better complements the natural resting position of our hands. I’m fond of the concept, but in practice, getting used to the MX Vertical feels a bit like learning a new language. It’s a good mouse, but it’s not ideal for every activity. The design, though, makes some sense. Logitech’s reasoning is that we usually don’t use mice with our hands in the position they normally fall into when they’re stretched out in front of us, and the MX Vertical addresses that keeping our hands propped up in a near-vertical 57-degree angle. It even looks good, as it invites heads to turn to admire its subtle rubbery grip that surrounds most of the top portions or the tin metal strip along the top. Beyond that, everything’s in the right place for comfort, whether it’s the two main buttons and scroll wheel on the steep right-hand face or the little button along the top ridge for adjusting the tracking. The latter is a particularly elegant feature, as you simply hold down the button and swipe your hand left or right to lower or raise tracking speed up to 4,000 DPI. Along the side, you’ll find two buttons that you can customize for virtually any action from activating the calculator or through Logitech’s Options software. You can also connect it to up to three devices. Apple itself might do well to take a few cues from the USB-C slot used for charging, which sits inconspicuously along the front so as not to detract from the aesthetic. Logitech claims that a single minute of charging is enough to power it for an hour and that a full charge is good for four months, and I tested this as best I could by simply never really charging it straight out of the box. After a week of use, it continues to work. It’s even easy to connect to your PC or Mac, whether you do it straight through Bluetooth or Logitech’s USB-A “Unifying” receiver. And yes, when I put my hands on a table, I suppose this would be the natural position they fall in. When holding it, my pinky finger essentially rests on the desk while my thumb gets supported at roughly 1.5 inches high with a curvy rest. Viewed in this light, the relatively flat Magic Mouse looks like a hand cramp waiting to happen. In practice, I could never quite get used to it. It felt natural enough while performing simple tasks like clicking entry fields on webpages and scrolling through news stories, but my enjoyment dipped once I started using it to edit photos in Adobe Lightroom and Photoshop. Soon I felt less like an artist touching up paintings with a paintbrush and more like a kid carving out his name in beach sand with a stick of driftwood. I also tried playing a few games with it, ranging from World of Warcraft to the Elder Scrolls Online, and I always felt as though I were pulling levers. (Interestingly, I noticed that I tended to use the mouse with small movements of my whole arm rather than the wrist, which likely contributes to the absence of cramps.) Comfortable though the MX Vertical may be, it never really “disappears” like other mice do. It’s pretty basic, but on the other hand, it’s great for basic work. This needn’t be a problem. As I see it, the MX Vertical is best suited to jobs where you spend hours on end clicking on cells in spreadsheets, rarely lifting your hands at all. In such settings, it likely comes into its own. But I don’t see it as an all-purpose mouse. 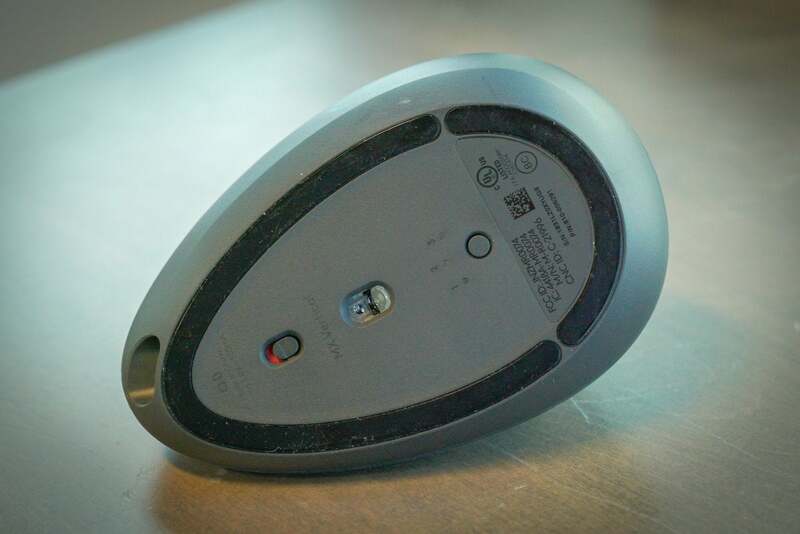 It’s certainly not a travel mouse: it’s about the size of a baseball, so it doesn’t slip as easily into your bags as something like the Magic Mouse will (or virtually any other mainstream mouse made in the last few years). 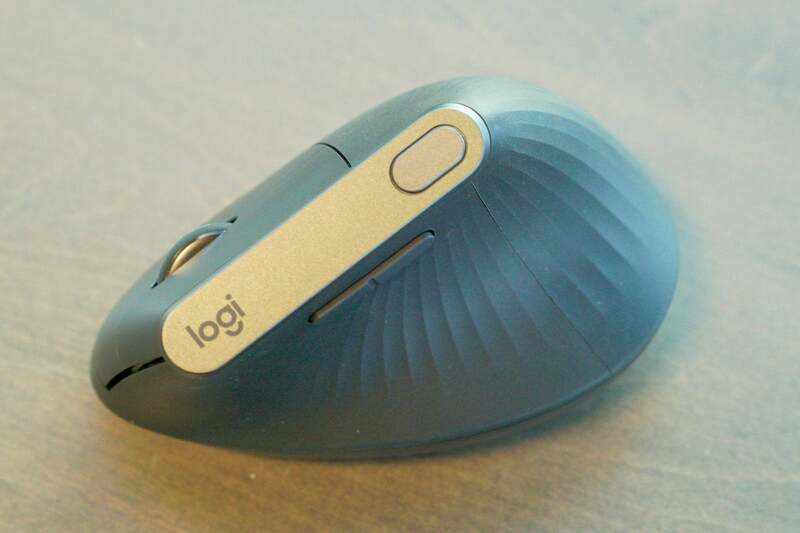 In fact, for everyday comfort, I find that Logitech has achieved better results with more traditional designs. The Logitech G502, for instance, is easily the most comfortable mouse I’ve held in my life (although some folks will naturally be turned off by the oh-so-gamer Borg-like stylings). Rather than almost flipping the mouse on its side like the MX Vertical does, the G502 simply adds a thumb rest along the left and a pleasant bubble of a palm rest that feels comfortable and natural. For all that, though, the MX Vertical is an excellent mouse for people who’ve suffered some kind of wrist or hand injury (or, for that matter, folks whose hands are more prone to cramps than mine). While the MX Vertical may be awkward to use even with extended practice, it’s never uncomfortable. Of the vertical mice I’ve handled, it’s the first one I’ve used that really nails the combination of comfort and performance. It’s a wonderful idea, but one with limited appeal. 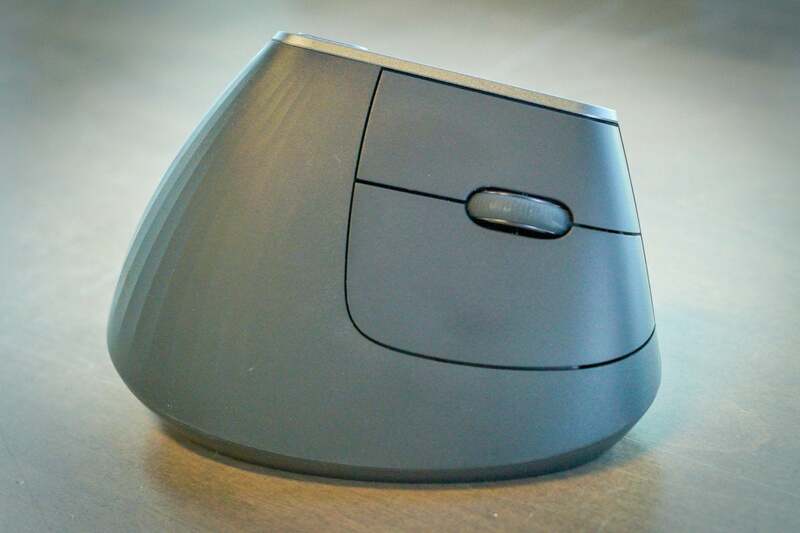 This story, "Logitech MX Vertical review: Tackling mouse ergonomics from a new angle" was originally published by Macworld.